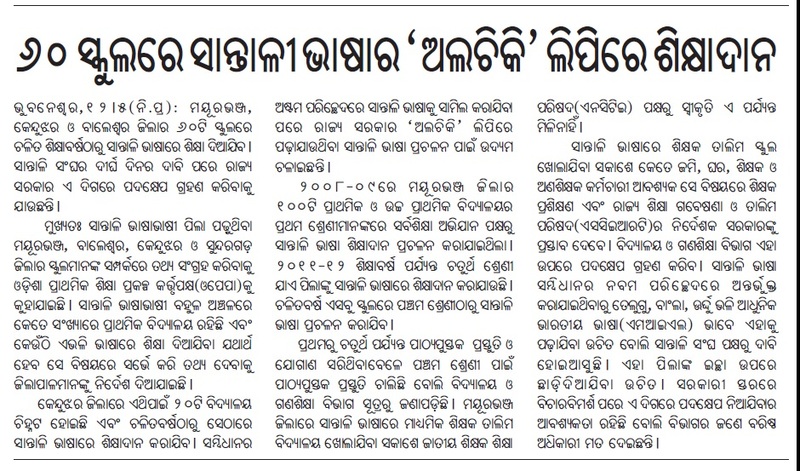 A very nice step taken by the Odisha and Indian govt. ; I hope there will be couple of Santali Colleges and at-least one Santali University in Odisha. Congratulations to the Santali community. Please make an effort to establish a Santali Sahitya Academy. People who were shouting only “Odia in Odisha” should support this move whole heartedly.